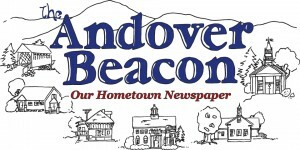 The engineers for the proposed Elbow Pond Road culvert repair met with the Andover Conservation Commission on October 3. Select Board member Vicky Mishcon was present along with several residents of the road. The project is to repair the washed out so-called east culvert which is 69 yards west of the Mountain Brook Bridge and 71 yards east of the so-called west culvert. Water under both culverts and the bridge flows into Elbow Pond. The section of road between the two culverts washed out previously in 2005 and then cost more than $50,000 to repair. Plans for the new project were displayed. Vicky Mishcon explained the Select Board was asking for quick Conservation Commission approval of the plans so that an emergency wetlands permit could be submitted to the state. This permit should bring approval within 30 days so that construction could proceed this fall. The Commission voted to approve the plans. At the time of this writing, the engineering firm tells us the cost estimate for the project if done by an outside contractor is $193,000. The Select Board believes the cost will be much lower if the work is done by the town, but no actual estimate has been calculated. Almost $20,000 additional has already been spent for design and fees. A flood relief grant application for the work has been submitted to FEMA, and the town believes $61,000 has been approved. 1) Why the rush to do the work? project without the voters’ approval? 3) Is the repair really necessary? Where is the emergency? The road has been closed for a year. So far as we know, no one has suffered. Would not work on this wet project go better in a warmer, drier season than in the high water and freeze ups of late fall? Looking at costs, the future also needs to be considered. The west culvert is exactly the same construction as the washed out east culvert. Some future flood likely will wash it out. Repair of this would cost just as much as the east one will now. Also, the Mountain Brook Bridge needs repairs or replacement. The new Morrill Hill Road Bridge over the Elbow Pond outlet cost more then $600,000. How many hundreds of thousands of dollars will a new Mountain Brook bridge cost? Complaints have been heard about the creation of two dead end roads. But Andover already has more than 40. Why would two more be such a problem? Also, there are at least 10 of these now dead end roads in Andover and 5 more running into other towns, that could be reestablished as through roads by upgrading class VI connections. Some of these would be unrealistic projects and many would be opposed by the present residents who like their quieter, safer, more secure dead ends – just like most of our Elbow Pond Road neighbors do now. All these previous through roads became dead ends when maintenance of uninhabited portions became too costly relative to their usefulness. Is not Elbow Pond Road now in exactly this same situation? Some say all this doesn’t matter because we have FEMA money. Some call FEMA money “free” money. But should we call federal dollars free? Doesn’t Washington raise its money by taxation? We hope the people who would like the culvert repaired are not those who favor low taxes and small government. Is this hurry-up project maybe a government boondoggle? Here we have the town ready to spend $100,000 or more with the strong possibility that many more hundreds of thousands will need to be spent in the not too distant future, all this on 150 yards of dirt road that most of the road’s residents would prefer be kept closed. Please think about it.